Share the Century experience by treating someone special with a Century Gift Card. 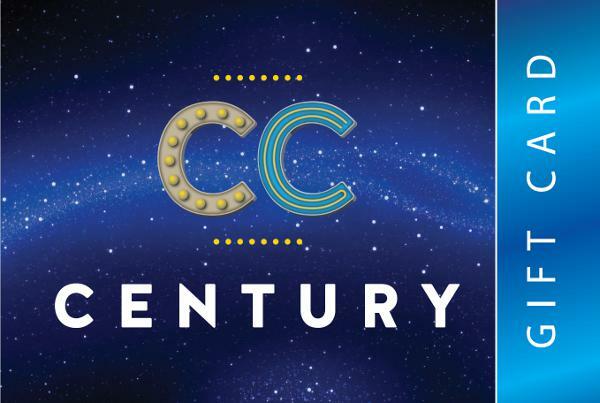 Century Gift Cards can be redeemed in Century Cinema, Century Play and Backstage Bar & Grill. Gift Cards are available in 10, 20, 30, 50, 100 and 200 euro amounts. Simply call into Century Cinemas, Century Play or Backstage Bar & Grill to purchase a gift card.